Al’s broad range of experience in general management within both large and smaller companies allows him to contribute to a number of key practices within TPG. These include M&A, marketing, sales, category management, operations and strategy. Al will be heavily involved in the firm’s Private Equity backed practice. 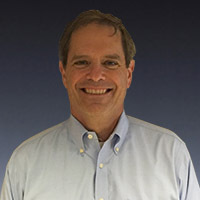 Al has over 30 years of experience in consumer packaged goods. He has worked leading marketing divisions, customer development teams as well as entire executive teams within Nestle and as CEO of the United States for Nissin Foods. Most recently, Al was the CEO of Nissin USA where he became the first local United States CEO for Nissin Holding Co. While in this position he successfully recruited and retained a local management team and developed the overall company strategy resulting in improved performance in both top and bottom line. Prior to his experience at Nissin, Al spent a total of 18 years at Nestle where he held a variety of positions in marketing, sales and ultimately was President of its $1B baking division. Al has also successfully translated his larger company experience into providing leadership and counsel to a number of smaller, more entrepreneurial organizations. Al holds an AB in Economics from Stanford University and an MBA in Marketing and Finance from the University of Southern California.